ITCC International has an extensive data protection policy which can be found in this document. ITCC International is committed to trading ethically and this document outlines our policy. All companies wishing to be approved for membership of an ITCC International Limited management certified scheme must be assessed to ensure that they meet the requirements of the relevant Standard. 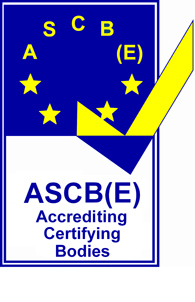 This is a copy of our ASCB(E) full accreditation certificate. This document outlines our policy on impartiality and conflicts of interest.